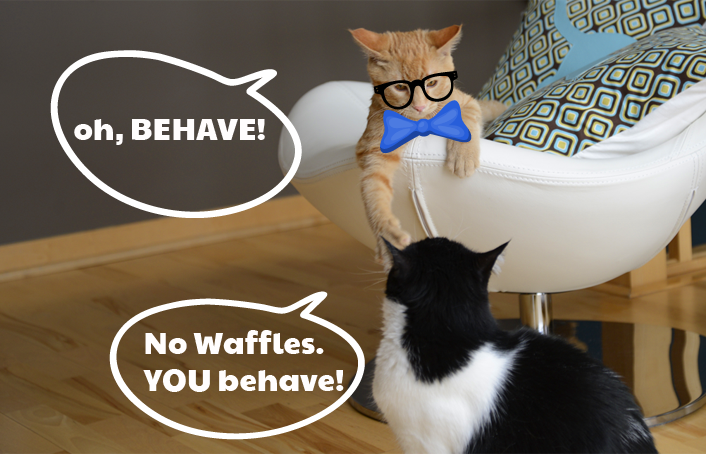 WAFFLES: Hey Boss? It's Waffles Wednesday. What are YOU doing here? KATIE: Duty calls, Waffles. There's a design emergency across the pond. Code: GROOVY. WAFFLES: Mmmm...I love it when Glogirly puts groovy on my foods. WAFFLES: So where we going, Boss? Who's got the mergency? KATIE: We're headed across the pond to Austin Towers. 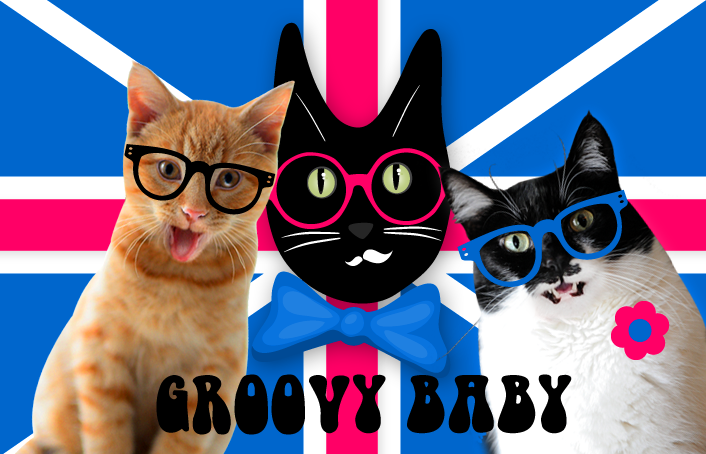 It's time to spread some shaggadelic design-love over the British blogosphere. ☮ Twitter, Facebook, Google+, YouTube profiles and more! Special thanks to Austin & his illustrious staff for trusting GLOGIRLY DESIGN with their new digs! That's really neat! Concatulations on another great job. Katie! We TOTALLY agree with you about Mr. Daisy. We (meowmeowmans and Tracey) have actually been calling him "Katie Too." MOL! Groooovy, baby! Those glasses actually look great on Waffles. I was just over at Austin's and his blog looks AMAZING! Wow, super cool! We love Austin even more now. We're heading over to Austin's! We can't wait to see the new stuff!! We're certain that shaggadelic has another meaning. We're heading over to Austin's now to take a peek. This is too cute...can't handle the level of cute with Waffles sporting those glasses! And really beautiful design work too across the pond by Glogirly! We can't wait to check out Austin's new look, we love your designs. Hey Katie, Socks wants to feature your ? in a post and wonders if he might use a picture to demonstrator the problem. Another Glogirly triumph! It all looks great guys! I am headed there now, can't wait to look see! Well, now... That sounds and looks... GROOVILISCIOUS! Hmmm... Is grooviliscious a word? Is now. I just used it. we just came from Austin's before seeing your post, LOVE THE NEW LOOK! Wow this is one colourful blog - love the pics! First time stopping by...we love your blog! Hope you can stop by our blog!! Gravy...LOL! Waffles is so cute and funny! I love the groovy look! 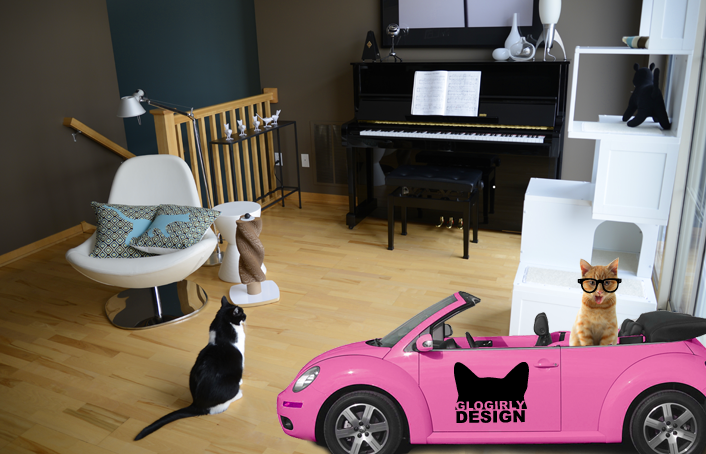 and we had ta say ewe dida soooper grate job on hiz page...yur mom katie will be veree verree proud oh de werk ewe did ~~~~~~~~ !!!! You all are so groovy! Yeah, that's right and what a groovy job you did on Austin Towers! Have a fab week everyone! We thought Glogirl did a fabulous design and Austin looks shaggilicous! Great job, concatulations to Glogirly ! Oh, and by the way, Austin's page looks groovy, indeed! Yeah, baby! As always, wonderful design work!! I will head straight over there!!! We were just there and it looks PAWSOME!!! LOVE it! You did a great job on Austin's blog! Appaws appaws! How cute! Somehow we think NO ONE is going to behave! Very nice! Love the glasses on everyone. Austin was always lookin' good...but now he is GLOBAL!! Panky: Nice werk dere! Wondering if the baby Troyer wood look more intelligent wif glasses on. Troyer: Who Me???? How can you say I not tellgent? Isnt gent anudder werd for mancat-in-da-makings??? 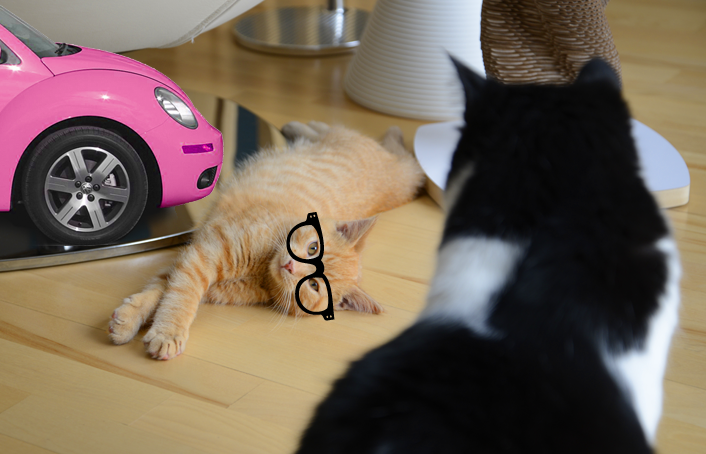 Panky: *sigh* I rest mai case. Dis a groovilicious post! You did a grreat job over at Austin´s !